"Beware," a fellow adventurer once told Eric Jones, "the reaper lurks." But perhaps he truly has nine lives. He was the first British man to solo the Eiger North Face–one of the greatest challenges in the climbing world. On the Matterhorn, he was swept within ten feet of a sheer precipice. As he soared over Mount Everest in a hot air balloon, he had to climb outside the basket to relight the burners. He has climbed dangerous mountains on five continents, parachuted onto the North Pole and Base jumped from skyscrapers, bridges, masts and mountains. He skydived into the Cave of the Swallows in Mexico, dropping into the 1,400-foot hole in the earth. Astounded people often ask Eric a question: Why do you do it? It is something that cannot be answered simply. 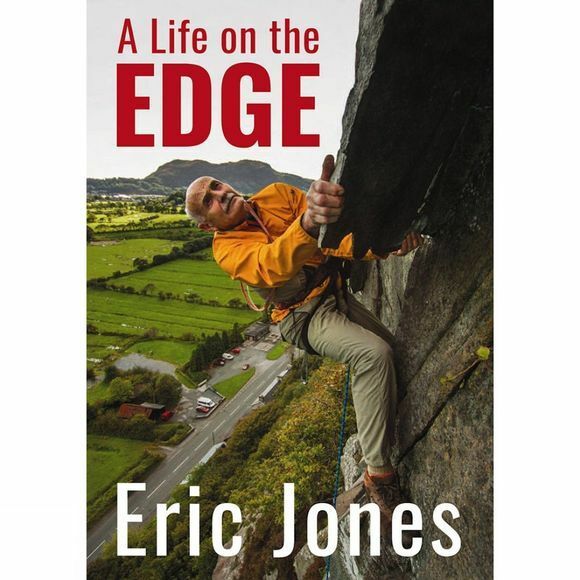 For Eric's life on the edge is quite a story. And this is it. "Eric's many solo ascents can be respected for being free from any sense of heroics, and for his sense of humour when his stories are told. His strength, self-sufficiency and silent courage are admirable. "–Reinhold Messner.